Next on My Must-Buy List! As a book junkie, it's kind of hard to control the book buying urge. 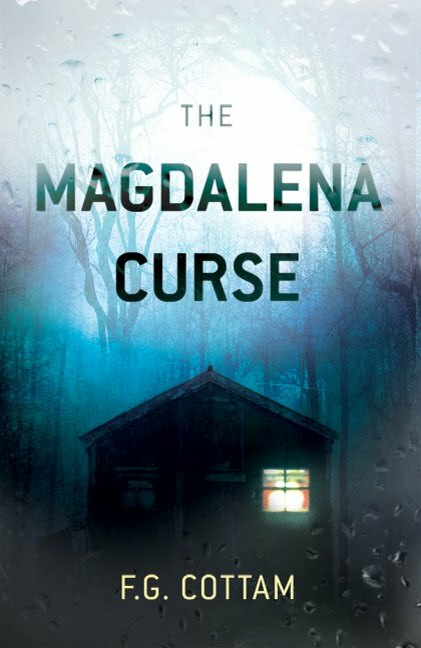 At the moment, I'm trying to vow to myself that I will catch up on an author's backlist titles that may be in the TBR before I buy more -- this is the case with Carol Goodman who, strangely enough, has a new book available only in the UK. She's also co-authored Black Swan Rising and The Watchtower with her husband. And now we have Incubus, the first in what's being called The Fairwick Chronicles. And it looks fabulous in every way! I came to Goodman with Ghost Orchid. I've since read The Sonnet Lover and The Night Villa, and of course Black Swan Rising and The Watchtower. So that leaves me a stack of four more books that I've bought over the years that I can tackle before ordering Incubus from the UK. I'm trying to argue logically with my brain and this is the result :) It's so hard! Who knows, though, maybe I can put it on the Christmas wish list and have caught up on the stack before then. Maybe it'll come out here in the States in the meantime. Classics professor Sophie Chase didn’t realize that protecting her students from crazed gunmen was part of her job description, but she didn’t hesitate when the need arose. She nearly died thanks to her efforts. After recovering from her wounds, Sophie learns that evidence has been recovered from a dig site in Italy that suggests Iusta, a slave girl who was the subject of her own thesis, may have been in residence at a villa that has been uncovered on the island of Capri. The villa had been destroyed in the eruption of Mount Vesuvius, but the site and even some scrolls were actually preserved by the ash that covered the island. The evidence is enough to convince Sophie that a trip to Capri might be more than just an opportunity to recuperate. As Sophie and the team translate the discovered writings, they learn that there may be more scrolls hidden on the grounds, scrolls that a cult of Pythagoreans might even be willing to kill to obtain. 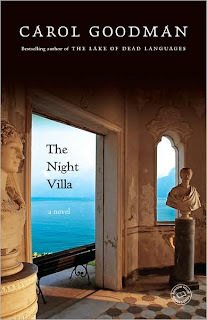 Goodman’s wonderful prose and lush settings always make for such enjoyable reading. Her literary mysteries are interesting, well plotted, and obviously well researched. I’m in awe of her talent. As promised last week, I've jumped into Kate Atkinson's first Jackson Brodie mystery (finally!) so that I'm totally prepared when the show comes to the US (and based on the episode list available, it does look as though the series covers the first three books). 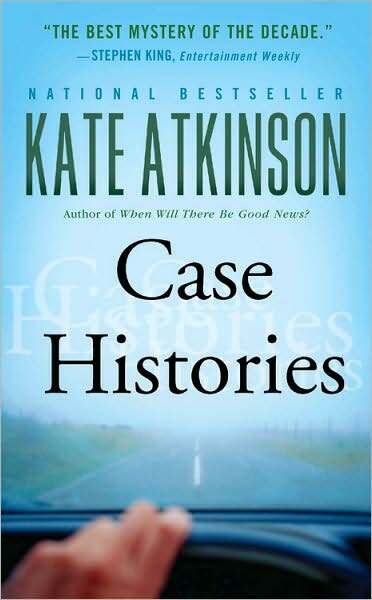 I spent the weekend on a review book and then a book that my sister loaned me (Iron Queen), so it wasn't until last night that I was able to dive into Case Histories. I realized that I'd actually started the book before -- probably abandoned because of a review stack, I'm sure. This time I'm ready, though! And you know, within just a few lines of introducing Brodie, I had a hard time NOT seeing him as Jason Isaacs. I'm a big fan, by the way. I know he's super creepy as Malfoy's dad in Harry Potter, but I think he's just fantastic! He's to star in a new network series this fall, Awake. My impression is that the concept might be quite complicated, but I'll be tuning in for sure. Case Histories was released in 2004, earning fantastic reviews. Even Stephen King said it was "Not just the best novel I read this year, but the best mystery of the decade..." in Entertainment Weekly (also the blurb on the cover of my edition). I mentioned I'd done some out of order reading with this series. My introduction was the 2008 release of When Will There Be Good News?, which I thought was fantastic. It read like a stand-alone, so there was no confusion in having not read the first two. And now, the tv show as well! And since I'm just getting started and there are literally TONS of review of Case Histories floating around out there, I will leave you with a little description from the publisher's page to whet your appetite. I did a little dance this morning when I saw this article from Britscene. Kate Atkinson's Case Histories was recently adapted for the small screen in the UK and apparently it will air in the States on PBS. Sweet! Jason Isaacs stars as Jackson Brodie. The show is said to be airing as three two hour Masterpiece Mystery installments. I can't wait! This means I have some Kate Atkinson catching up to do, folks! I've done some out of order reading with this series and have Case Histories on my bedside table. Guess I know what I'll be doing this weekend. Here's the trailer for your enjoyment! Fey, Fey, and More Fey! So two weeks ago (not too long after she sent me The Iron Queen), I cracked open Julie Kagawa's The Iron King. I never know what to expect from teen reads these days. Some are dark and stormy reads I greatly appreciate. Some are easily mistaken for adult books in tone, style, and content (another aspect I enjoy). And others are a little too teen for my personal taste. It's a double-edged sword because I'm not the intended audience. I always rely on my sisters in those cases. If it was a little too young for me but they enjoyed it, then it hit its mark. (I've never had them dislike one that I've enjoyed, btw.) It's always an added bonus, though, if a teen author has adult cross-over appeal, and I think The Iron King is just that kind of teen read. Meghan Chase is a pretty normal teen. She goes to school. She has a crush on the star football player. She's utterly invisible to most of the student population at her high school. Her best friend, Robbie, is pretty much her only friend. Normal. But when Meghan's brother turns mean, Robbie tells her that he's been replaced by a changeling. And with this revelation comes a whole slew of other revelations. Like the fact that faeries are real and that Meghan herself is the daughter of Oberon, king of Summer Country. Oh, and Robbie? Robbie is none other than Robin Goodfellow, aka Puck, tasked with keeping Meghan safe. The only way for Meghan to save her brother is to enter the faerie realm and bring him back herself. With Puck's help, she'll cross over and face a world full of challenges she could never imagine. So my description doesn't really do it justice. For folks my age, think Labyrinth. In fact, it's very Labyrinth, but with great twists. First, Kagawa introduces creatures I've never heard of. Many (if not all) of them are from classic folktales and mythology (I googled a few), but haven't been used in the books I've been reading. Second, her additional mythology is fantastic. The Iron Fey are super cool and a great modern day addition to the faery realm. Perhaps it's appropriate that I've been spending so much time in Summer Country of late. Summer is still in full swing, anyway. I've moved on to The Iron Daughter and have Queen waiting for me. 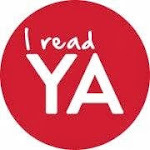 Some other fey reads: I recently read Lee Carroll's The Watchtower for yet another take on the Summer Country and the various types of fey (sequel to Black Swan Rising). Mike Shevdon's Road to Bedlam is currently in the TBR. I adored his take on the fey in Sixty-One Nails and highly recommend it for readers who can't get enough of the fey (or, like my sister, are taking a break from the undead). Prior to this week, my experiences with Lisa Unger were the page-turning plotting and fast-paced action of Beautiful Lies and Sliver of Truth. 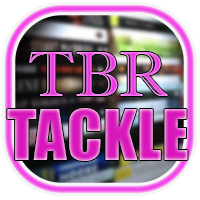 Short, cliffhanger chapters most thriller authors are famous for filled those two books. I recall that they were intense and they kept me up all night. Fragile is a bit different. Still intense, still page-turning, and still keeping me up all night, Unger introduces readers to The Hollows, a small town in upstate New York. The cast of characters includes Maggie - a therapist, her husband Jones - the local lead detective, their son Ricky and his girlfriend Charlene, her mother Melody, Melody's husband Graham, Marshall - a troubled teen and one of Maggie's patients, his own father Travis - an ex-cop and high school bully, and a slew of other folks all connected through location and history. To an outsider, The Hollows might seem to be an idyllic little town. When Charlene disappears the town bands together to find her. Though she seems to have left of her own volition, no one can forget the disappearance of another local girl decades ago. As everyone searches for the truth about Charlene, all they can hope is that this time it's different. Unger weaves together a large number of stories here. On their own, they would be just fragments, but as one, they create a whole -- a look at a town in crisis and a peek inside the minds and lives of each character involved. I return again and again to authors I enjoy, reading each new book year after year and there's something so comforting in returning to the known. But in some cases, the author never changes or evolves and eventually I become reluctant to the return, longing for something different. Unger has lost none of the tension or pacing she is known for here, but has adapted her style to a different kind of storytelling. I find it so impressive when an author is able to show a range of talent. Equally impressive are the depth of the characters and the building of The Hollows. I'm pretty well blown away by Unger's talent at this point! I highly, highly recommend checking her out. Fragile is now out in paperback and Unger revisits The Hollows in her latest, Darkness, My Old Friend, which was released earlier this month. I've also just learned that Unger's older backlist titles, which were published under her maiden name, Lisa Miscione, are all being reprinted and rereleased. Laura Lippman's latest stand-alone thriller is set for release on Tuesday! Thriller fans, if you're not reading Lippman yet, mark your calendar and make this your first. I honestly have never been disappointed by her books. With eleven books in her Tess Monaghan series and six stand-alones, Lippman has become one of the genres favorites. Her blend of psychological suspense and smart plots make her books appealing to a wide range of readers. I personally have been a fan for quite some time now, coming to the series around 2000. And now, for your viewing pleasure, I came across this interview with Craig Ferguson on the Late Late Show from last fall promoting her prior release, I'd Know You Anywhere. When Starz began airing their new Camelot show, I got a little Arthurian obsessed. Thing is, I wasn't a big fan of the show. Ages ago (high school), I found a stash of King Arthur books in my grandmother's collection. 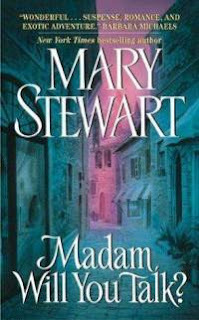 And since I was working at the bookstore at the time, I knew that Mary Stewart's books were among some of the most popular Arthurian books out there. Who knows how many editions have been released between the ones on my grandmother's shelves (her Crystal Cave is a 1971 Fawcett Crest mass market that retailed at $1.75) and the ones that always made it to the school reading tables each summer. But, this is not a King Arthur post. Nope. Along with the Merlin series, my grandmother had a whole collection of Mary Stewart titles. A search revealed a bevy of these gems with deliciously gothic and creepy covers -- many of which are still in print today. Fortunately, mom sent over the whole Stewart set because I've got the gothic bug ever since my Jane Eyre evening and Deborah Lawrenson's The Lantern. The story concerns one Charity Selborne, an English widow on holiday in Provence. At her hotel, she runs into a young boy whose father is later revealed to be a murderer on the run. Charity feels sorry for the boy and takes him under her wing, offering to let him tag along as she sees the sites of Provence. But the boy's father has yet to be apprehended and was recently spotted nearby. Then Charity meets him herself. A dangerous cat and mouse game in Provence! I love the language in these books. The deliberate pacing and the gorgeous way things are described. I hate to use the word organic, but it is a natural flow that authors I enjoy have with their prose. Nothing feels forced or unnecessary. 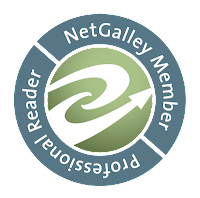 In the gothic genre in particular, it makes the whole reading experience truly wonderful. As I write this, we are in the midst of summer: sweaty days in which I can take my book outside and read in the sun and enjoy that growing sense of dread and prickling of goosebumps. Second only to a dreary and rainy days filled with lightning storms in terms of perfect reading weather. Madam, Will You Talk? was originally published in 1955 and marked Stewart's debut on the literary scene. An interesting piece I found in the Time archives from 1971 notes that Stewart was among the most popular gothic authors at the time (check out the final lines of the article -- note the similarities between that and today's chick-lit arguments!). Stewart, who is now 94, published her last book, Rose Cottage, in 1997. I went to see The Help on Friday and I thought it was one of the best I've seen this year. It had some truly funny moments along with some horrifying and heart wrenching moments as well. On leaving the theater, the first thought I had was that I wanted more. I wasn't ready to leave the characters yet! So I bought the book. Can you say, book junkie? Consider this a Where's My Bookmark combined with a To See or Not to See. The Help was Kathryn Stockett's debut when it was released in 2009. It was a big hit and I think the movie will be just as big (from the looks of it, it was #2 at the box office this weekend). So far, for this reader, it has proved to be a pretty great adaptation. I know there's a lot of controversy over various aspects of both the movie and the book -- frankly, I'm not worried about that, that's not what I'm writing about. There are plenty of other people who have covered those matters and if you want, you can find them. I enjoyed it. Plain and simple. I'd put it on the level of Fannie Flagg's Fried Green Tomatoes without the current-day storyline. Here's the synopsis, in a broad and somewhat vague nutshell: It starts in 1962, in Jackson, Mississippi. Emma Stone plays Skeeter Phelan, a college graduate with writing aspirations. There are a few different motivations for Skeeter's actions, but on the advice of a publisher, Skeeter decides to write about life in Jackson, from the Help's perspective. Aibilene (played by Viola Davis) works for one of Skeeter's friends and fellow Junior Leaguers and is the first maid Skeeter approaches. In the book, the chapters alternate narrators, so the story is told from the perspectives of Aibilene, Skeeter, and Minny (Aibilene's friend and fellow maid, played by Octavia Spencer). Bryce Dallas Howard (who I almost did not recognize from past movies) plays Hilly Holbrook, the mean girl of the Junior League and the leader of a number of bigoted and two-faced actions, some of which also prompt Skeeter's project. I made it through about half of the book in my first sitting. Having seen the movie first, I really think director and writer Tate Taylor has done a fantastic job. Part of this could be thanks to the fact that he's a friend of Kathryn Stockett's -- I can't imagine being able to face your bestselling author friend if you didn't do a fair adaptation of their work. I'd definitely recommend both seeing and reading this one. So far, nothing from the movie has taken away from the reading experience. The book is broader and more insightful in terms of the content, but the movie hits all the major points and it's great to see such an amazing cast in these roles. Pluses for both mediums. I've read that Stockett has an idea for her next book in the works. I'm not sure when that might be hitting shelves, but I have to say that I'll be looking forward to it. Ugh. It's 8:30am and I am beat. Had to get the kitties up for their vet's appt this morning and I was up too late last night. Today's going to be a lazy and relaxing Saturday. Since the age of eighteen, Joseph has been assassinating people on behalf of a cause that he believes in but doesn’t fully understand. The War is ageless, hidden in the shadows, governed by a rigid set of rules, and fought by two distinct sides — one good, one evil. The only unknown is which side is which. Soldiers in the War hide in plain sight, their deeds disguised as accidents or random acts of violence amidst an unsuspecting population ignorant of the brutality that is always inches away. Killing people is the only life Joseph has ever known, and he’s one of the best at it. But when a job goes wrong and he’s sent away to complete a punishingly dangerous assignment, Joseph meets a girl named Maria, and for the first time in his life his singleminded, bloody purpose fades away. Before Maria, Joseph’s only responsibility was dealing death to the anonymous targets fingered by his superiors. Now he must run from the people who have fought by his side to save what he loves most in this world. As Children of Paranoia reaches its heart-in-throat climax, Joseph will learn that only one rule remains immutable: the only thing more dangerous than fighting the war. . .is leaving it. Sunday, I mentioned that I'd just cracked open Ernest Cline's debut, Ready Player One, and that I needed a playlist as background reading music. Well, yesterday the publisher emailed me and said the author actually had prepared one. Ready Player One was a completely '80's-tastic awesome book. I literally couldn't put it down and was going for an all nighter with it until I crashed. Ah well. I finished it yesterday and highly recommend it. Even if you aren't a gamer, geek-girl (or boy), or 80s fanatic, it's still a great one! I'm back! Took a couple of days off to take care of some things -- Mike was out of town last week, so Friday was a cooking and cleaning day and yesterday we helped some friends move. Today's my relax at home and read day! There's a longer synopsis and excerpts at the official website: www.readyplayerone.com as well as lots of 80's nostalgia bits from Cline. Seeing as how I'm an 80's child myself, this is one that I've been looking forward to! I feel like I need to put together an 80's playlist as a soundtrack for reading the book. And just a few pages into it, I'm already getting the urge to play some Mario Bros (which, by the way, has not actually been mentioned in the book as of yet, but with the Atari nod, I was brought back to my own first gaming experiences with my neighbor's Donkey Kong arcade game and then my own Nintendo). You might be asking what I was required to read!? Trust me, there was plenty. 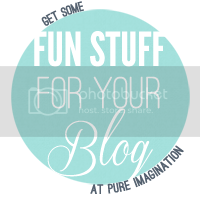 Maybe just not the fun stuff. Anyway, do to a pretty bad experience with most of the required reading throughout school, Eyre was one I was not looking forward to. I knew very little about the plot, but went at it full speed nonetheless. And as a college girl living alone, I found it to be a truly amazing book. It was creepy in all the right places, and romantic in all those right places, and Jane was a heroine I could really get behind. By now, I've seen a few different adaptations of the book. When I saw that a new one was being released earlier this year, I jumped for joy. Michael Fassbender as Mr. Rochester, yum! Alas, it did not play in my area so my big screen Jane Eyre dreams were not to be. It was a good movie. For anyone who has not read Jane Eyre it's a good adaptation. 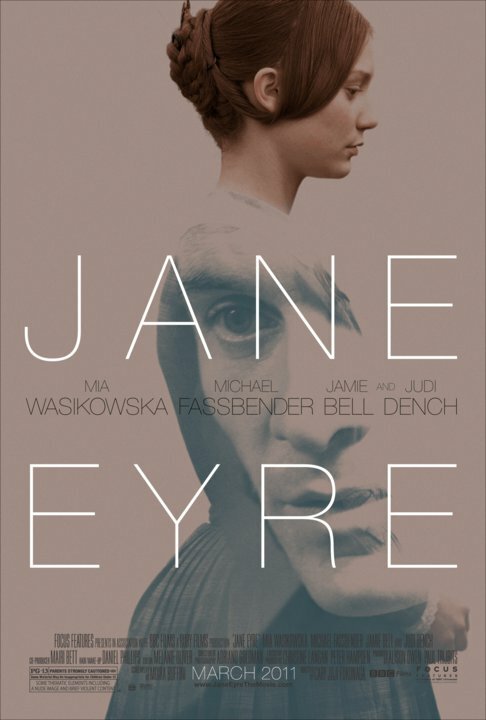 For folks who love Jane Eyre for the love story, it's probably also a fair adaptation. My issue with it is not that it wasn't a good movie, but that (shoot me now, because I'm going to say it) the book was better. I know, I know! I love to see big screen adaptations. I do. The vision that carries over and how the director and the person writing the screenplay feel the story should be or could be best represented. I'm interested in all of that. It doesn't mean I always agree. 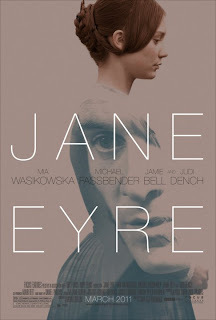 Two things about Jane Eyre in particular: while the film is lovely, the settings amazing, the production top-notch, some of the atmosphere is lost. I believe it's due to that vision I mentioned earlier. Eyre is a classic gothic tale, so that underlying sense of dread and fear is there in the book. Certain scenes are cut, probably for time, and it seems the focus became more seated in the love story itself than in that chilling and unsettling sense that I relished in reading the book so many years ago. The second thing is Jane herself. Mia Wasikowska does an amazing job of portraying Jane. Jane is stone. On the outside Jane shows little emotion. It's one of the things that I think captivates Mr. Rochester so -- as it should be having a wife who shows too much emotion! But Jane struggles internally. She may not show her disappointment and angst over Rochester's games outwardly, but the reader knows it's there. Overall, it was a satisfying two hours. I think it was a keeper (one I'll buy), but the book is staying firmly on the reread stack! As a bookseller, I accumulated a massive collection of books, which is now a massive collection of backlist. Series titles that I bought during employee appreciation days, bored college days, summer weekends that were supposed to be spent reading that new book that caught my eye during shelving... You get the picture. I always blame my *hoarding* on the early college days when I had no TBR stack to speak of and was concerned that I'd have too much down time and not enough to read (and no money). So I started collecting that summer. And it snowballed! It's not completely a bad thing. My sisters have all come up as readers, so I've shared a lot of books with them and it also comes in handy when I "discover" a new author and can go on a binge read with them :) They've been reading Kelley Armstrong since the days following their Twilight discovery. Armstrong was actually the first author I thought of when my sisters said they wanted more paranormals. I'm usually a stickler about reading series books in order, but Kelley Armstrong's series is actually a collection of mostly stand alone titles that take place in the same world. Series characters make appearances in other books, but the idea (and she's even stated it on her website) is that you can read them in any order. This was a big bonus on my part when last year's release, Waking the Witch, came out. In the book, Savannah Levine is asked to investigate a murder that smells of the supernatural. It's a great paranormal mystery and a good jumping in point for someone like me who hasn't read the ten other titles in the series. But... the series is winding down. Next year's release is to be the last (or so I've read) and the big finale begins this year with Spell Bound. Spell Bound picks up right at the end of Waking the Witch, Savannah has been left powerless after an inadvertent deal made with an unknown entity, and a witch-hunter is on her tail. As Savannah and Adam track this hunter, they discover that there is something big brewing in the supernatural world. Key players have been murdered and there are rumors of a prophecy that somehow pertains to Savannah. In this twelfth of the series, Armstrong brings back many of the past characters, all of whose backstories are mentioned in passing. The story itself can stand on its own (well, as a continuation of Waking the Witch) but for folks unfamiliar with the other characters, it can be a bit confusing. At least I have a year to catch up! My brain is fried. I mean really. Probably too much time out in the midday heat yesterday trying to pull weeds. I don't know. I did manage to get in some quality reading time this weekend. 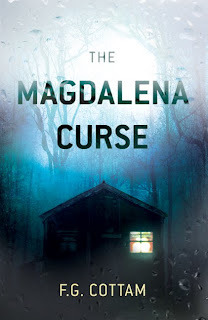 As we speak, I'm in the beginning of my third read, F.G. Cottam's latest horror release, The Magdalena Curse. It only takes a couple of visits to convince Dr. Elizabeth Bancroft that Adam Hunter is not just having bad dreams. He’s a child possessed. His father is desperate: adamant that his son’s affliction is the result of a curse he incurred in the depths of the Amazon, where a badly misguided military operation ended in a terrifying and macabre encounter. There he met two women—one who placed the curse and the other with whom any hope of saving his son resides. Mark Hunter leaves the Scottish Highlands to beg help from the mysterious woman, leaving his son in the care of Elizabeth—who is about to discover there are equally dark secrets on their own doorstep. And in her blood . . .